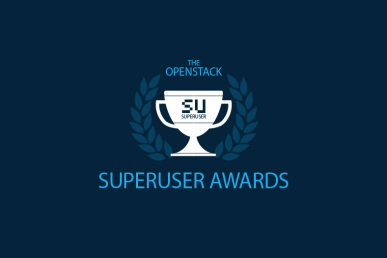 Wingu is one of seven nominees for the Superuser Awards. Review the nomination criteria below, check out the other nominees and rate the nominees before the deadline Tuesday, April 24 at 11:59 p.m. Pacific Time Zone. Please specify the team and organization for nomination. Who are the team members? Wingu – Thomas Lee, CEO. Wingu’s entire business is built around OpenStack. Led by Thomas Lee, an OpenStack expert and self-described enthusiast, the company was an early adopter of OpenStack and has delivered innovative solutions to its enterprise customers throughout South Africa. In the past 18 months, Wingu has grown extensively, as an OpenStack public cloud provider, delivering full OpenStack technologies with APIs immensely improving customer agility and time-to-market. Wingu has contributed extensively to the OpenStack community across South Africa, most notably by providing OpenStack infrastructure to the local Durban Infrastructure User Group. They also provide and track code improvements through their partner, Canonical. Lee’s over 20 years of experience make him a valuable expert in this region as Wingu supports OpenStack users starting their OpenStack journeys. Wingu proactively works with vendors and partners to build an enterprise-grade platform that will deliver not only a strong public computing platform, but also the skills and services to assist customers in successfully adopting cloud technologies. Wingu has attended several OpenStack Summit events since 2014. Wingu is an early adopter and massive OpenStack user. 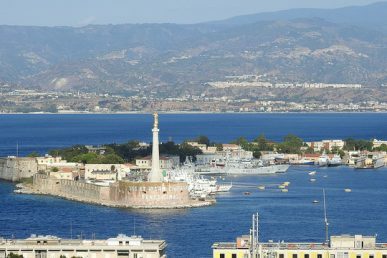 It uses open source software on desktop machines and tools like Alfresco for their document management platforms, native monitoring and logging tools. There are no commercial tools in their environment except for Trilio. In addition, Wingu is the project sponsor for the Tachyonic open source web framework technology, powering NVF automation and a portal front-end for a OpenStack billing platform. Wingu currently is running 10 compute nodes in their environment with the capability to host over 1,920 virtual machines. The platform runs Ubuntu OpenStack with more than 100 commercial customers on the platform. A major operational challenge for Wingu is upgrades. They have overcome scaling network environments, so they are able to build OpenStack clouds in a custom way that is extremely scalable and very fast. Wingu is focusing on how to improve rolling upgrades and is currently utilizing tools like Livepatch to make the process much easier. Wingu’s customer base is extremely Microsoft-centric in South Africa. With over 40 percent of its enterprise customer base using Microsoft, Wingu has put extensive efforts into ensuring OpenStack is a strong partner of these workloads. By running features like VPN as-a-service, customers are able to extend their Microsoft directory into the cloud. Wingu is doing extensive work in bringing virtual network functions such as firewall-as-a Service (IP Tables, Juniper & FortiNet), load balancer-as-a-service (HA Proxy, F5, AVI Networks) and VPN-as-a-service to public cloud customers. None at this time, we are working on the certification testing.